Executive end unit townhome in Joshua Creek. Tons of curb appeal, with a stunning stone and stucco exterior, and an elegant double frosted French door entry with transom, and designer chandelier visible through the second storey oval feature window. 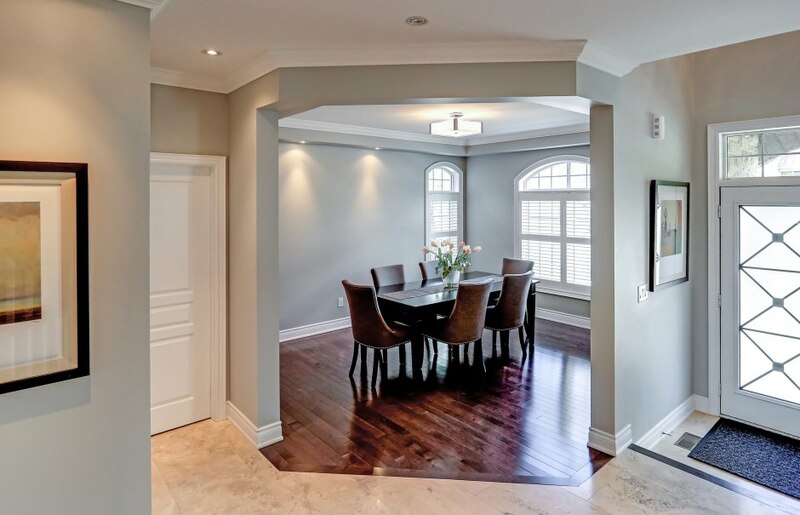 18" x 36" honed limestone tile and vintage slate grey maple hardwood flooring throughout. 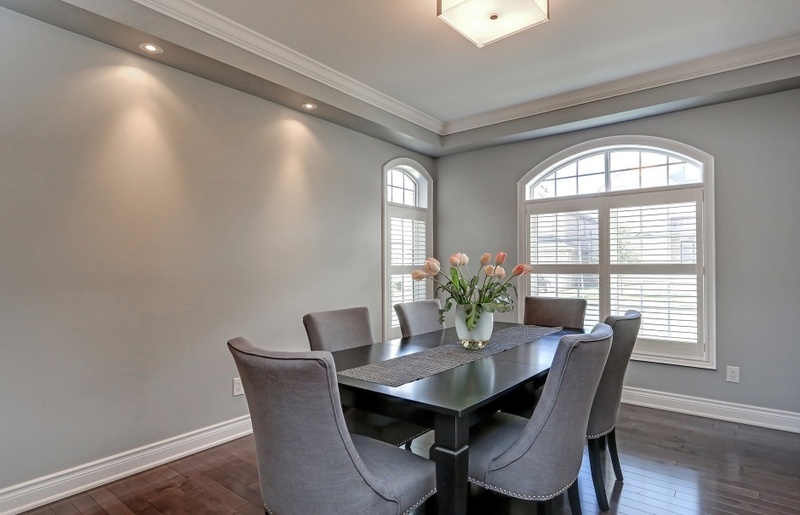 Fabulous open concept layout perfect for entertaining, or simply spending time with family. The kitchen is right on trend, with dark stained cabinetry, caesarstone countertops, glass subway tile backsplash, and high-end stainless steel appliances. An airy breakfast area opens through double sliding glass doors to the fully fenced rear yard. The inviting great room boasts an abundance of windows and a gas fireplace with limestone tile surround and painted wood mantle, while the separate dining room features a chic tray ceiling. This stylish home is dressed throughout with upgraded window casings, California shutters, crown molding, and halogen pot lighting. 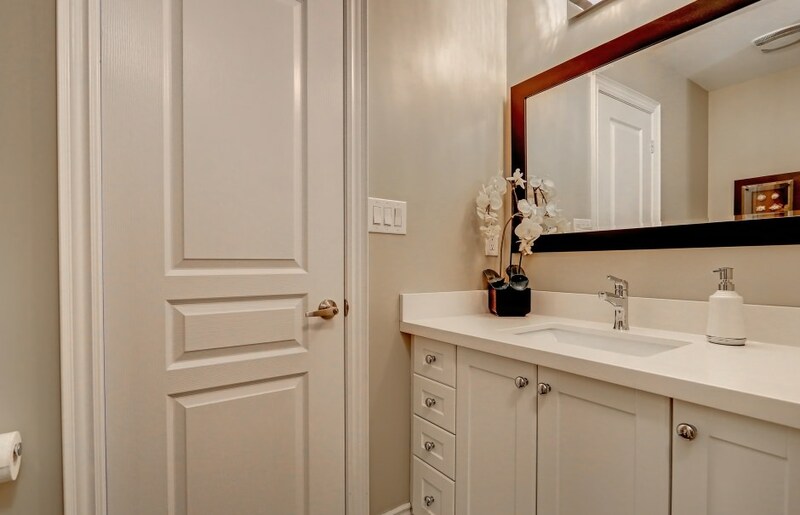 A powder room with charming pedestal sink, and laundry/mud room with inside access to the double car garage complete the main level of the home. 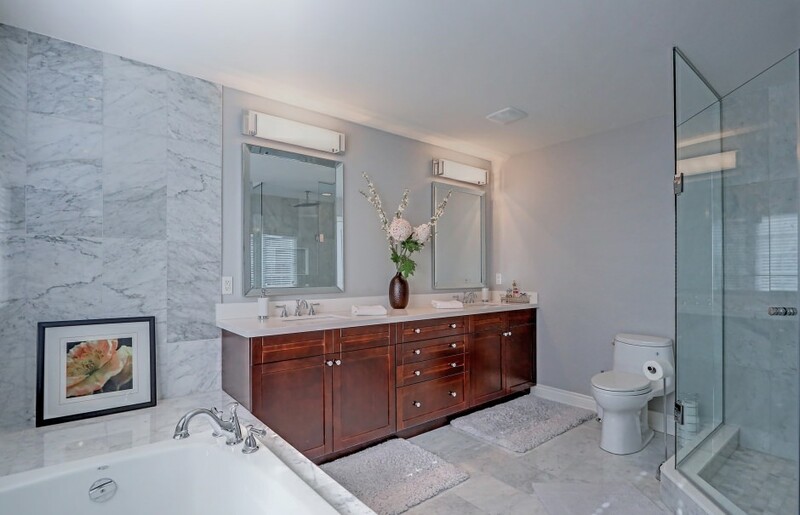 Upstairs, double doors enter to the master retreat with partially vaulted ceiling, walk-in closet, and five-piece ensuite with marble tile flooring, His & Hers vanity, separate soaker tub and walk-in glass shower with hand-held and rain shower heads. 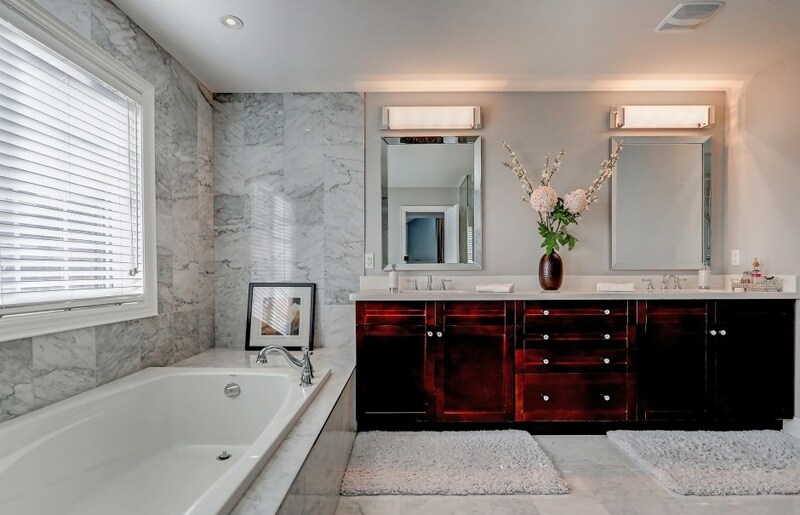 Two additional generous-sized bedrooms share a four-piece Jack & Jill ensuite. The lower level, with 8’ ceilings and multiple windows, provides fabulous potential additional living space. 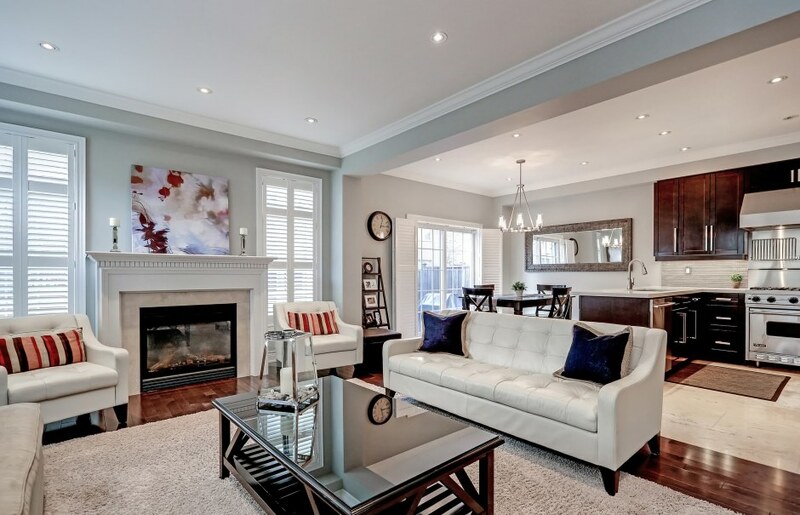 Luxurious living with minimal maintenance in one of North Oakville’s most sought after communities!